Pro Ace Heating and Air Conditioning Ltd. is number one choice when it comes to furnace repair, furnace service, air conditioning repair, boiler repair, and HVAC services. First of all, Pro Ace Heating and Air Conditioning Ltd. assure honest, reliable and reasonable heating and air conditioning services. Pro Ace gives our customers the peace of mind that their home’s heating and air conditioning systems are operating properly, safely and as energy efficient as possible during all seasons! As a homeowner, you also need to be rest assured the heating and air conditioning company you choose is reliable and trusted for years in the heating and air conditioning industry. Finally, Our commitment to our customers is what sets us apart from others. Furthermore, furnace repair, furnace service, air conditioning repair, boiler repair, HVAC is what we do for a living. Our 24 hour emergency service can dispatch our insured, bonded and licensed technicians 7 days a week for furnace, air conditioning, heat pump, water heaters and boilers, repairs and installations. We know that emergencies don’t always happen during business hours. Which is why we offer after hours or weekend services. Purchasing a new furnace, boiler, heat pump, hot water heater, tankless on demand or air conditioning systems is one of the biggest investments in your home you can make. In addition, If you are looking for someone to help you decide what type of high efficiency furnace, high efficiency boiler, air conditioning or water heater system is best for your home please contact us via email or by phone. We have the most up to date advanced technology which allows you to know right away what the condition of your heating or cooling appliance is. Yet, we are the only company in Canada with on site mobile using digital technology that offer the most detailed, reliable and honest diagnosis on furnace repair, furnace service, air conditioning repair, boiler repair, and HVAC services. Our fully licensed technicians specialize in the latest heating and air conditioning systems from repairs, servicing to installation and replacement of all Commercial, Residential and Industrial Heating and Cooling systems. 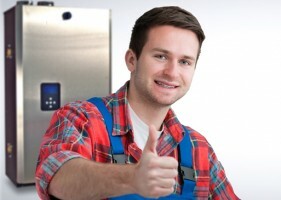 Also, our technicians are qualified Red Seal Refrigeration Mechanics for All Mechanical, Cooling, Heating and HVAC as well as Class A and B Gas Fitters for all your furnace repair, furnace service, air conditioning repair, boiler repair, heating on top of all gas appliances service, repair and replacement. Call us for friendly reliable free tips or advice. We have been servicing Vancouver, North Vancouver, West Vancouver, Burnaby, New west Minister, Coquitlam, Port Coquitlam, Port Moody, Maple Ridge, Pitt Meadows, Richmond, Ladner, Tsawwassen, Abbotsford, Langley, Surrey, Cloverdale and White rock since 1995. Reliability is more than just a commitment at Pro Ace Heating and Air Conditioning Services Ltd. – it’s a guarantee. A reliable company means reliable service – and reliable service means reliable heating and Cooling when you need them the most. Our company has a dedication to delivering the very best in Furnace Repair, Furnace Service, Air conditioning repair, Boiler repair, Heating quality, with the experienced professionals that know how important your HVAC system is to you and your home. And when we say that we are the most reliable name in heating and cooling service in the lower mainland, we have the tools and the technology to show you that we mean it. Pro Ace Heating and Air Conditioning Services Ltd. has been in business since 1995. 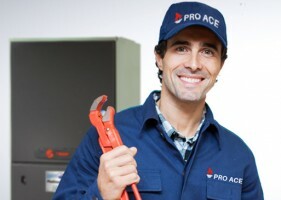 The Pro Ace Heating and Air Conditioning Services team is made up exclusively of qualified professionals – every technician possessing either a Class-A or Class-B gas fitting license for your Furnace service, Furnace Repair and Furnace Installation, Boiler Repair, Boiler Installation and Boiler service for all your heating needs. We are also certified A/C Refrigerant mechanics for all your residential or commercial cooling and heating needs . And education is great, but at Pro Ace Heating and Air Conditioning Services Ltd., we only want the very best to service you and your home, which is why our team is made up of experts, with years of experience. Pro Ace Heating and Air Conditioning Services Ltd. is dedicated to being a company that meets your needs and pricing on Furnace Repair, Furnace Service, Air conditioning repair, Boiler repair, Heating, both in services and financially. We know that you want the very best service and quality, and at a price that is fair and affordable. 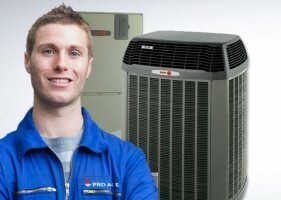 Pro Ace Heating and Air Conditioning Services Ltd. is a company that understands these things, and that’s why we do everything we can to ensure complete fantastic customer service, and make complete customer satisfaction our #1 priority.At pro Ace heating and Air conditioning we can provide you with Free estimate on all your needs. Call us for all your questions like: Cost of new furnace, cost of new boiler, cost of new air conditioning , cost of a heat pump, cost of a tankless or cost of hot water heater replacement. We will give you a written free in home estimate for price on new boiler , price on new furnace, price on new heatpump, price on a duct less system, price on A/C split system to match your furnace, price on new high efficiency furnace , price on Navien tankless, price on High efficiency IBC boilers or Price on hot water 40 gallon or 50 gallon tanks.